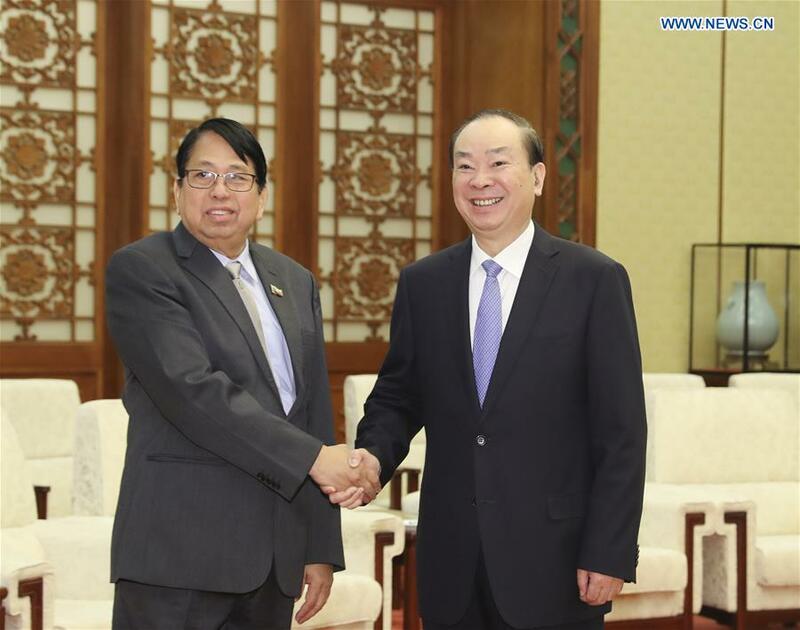 BEIJING, April 4 (Xinhua) -- Huang Kunming, a member of the Political Bureau of the Communist Party of China (CPC) Central Committee, met with Myanmar Minister of Information Pe Myint in Beijing Thursday. Huang, also head of the Publicity Department of the CPC Central Committee, said that China and Myanmar were friendly neighbors linked by mountains and rivers and shared the profound Paukphaw (fraternal) friendship between the two peoples. He said two sides should implement the consensus reached by the two heads of state, and constantly promote comprehensive strategic cooperation. The two departments should play a role in strengthening exchanges on governance experience, deepening pragmatic cooperation in cultural areas, and make contributions to consolidate the political and public opinion foundation of China-Myanmar relations, Huang said. Pe Myint said the Information Ministry of Myanmar was willing to strengthen exchanges with the Publicity Department of the CPC Central Committee, so as to deepen the bilateral cooperation in culture and movies.